For a long time British drivers were encouraged to buy diesel cars. The current car tax system was designed to reward buyers of cars with low carbon dioxide emissions, one of the strengths of diesel engines. But diesel suffers in two ways. It has high emissions of nitrogen oxides, gases that are linked to respiratory disease. And diesel vehicles emit particulate matter (smoke) that gets into the lungs and causes cardiovascular problems. The World Health Organisation says that three million deaths a year worldwide are linked to outside air pollution. Campaigners have increasingly blamed diesel vehicles as a key contributor to this. The revelations that Volkswagen had been cheating emissions tests haven’t helped diesel’s cause. What will the extra charges be? From April 3, Marylebone in central London will charge owners of diesel cars an extra £2.45 an hour to park in its F-zone. The area includes Madame Tussauds, the University of Westminster and Baker Street. Diesel cars would be recognized using Automatic Number Plate Recognition. It’s done this because nitrogen dioxide and particulate matter levels regularly exceed what’s considered to be healthy. What will happen to the value of diesels? People who’ve already spent their hard-earned cash on a diesel car are right to worry. A diesel car ban could have a serious effect on their investment. A £10 daily tax on diesel cars would mean an extra £2500 a year in motoring costs for drivers commuting daily into city centres. It would be hardly surprising if people wanted to sell their diesel cars and buy petrol or petrol-electric hybrid without the extra tax. 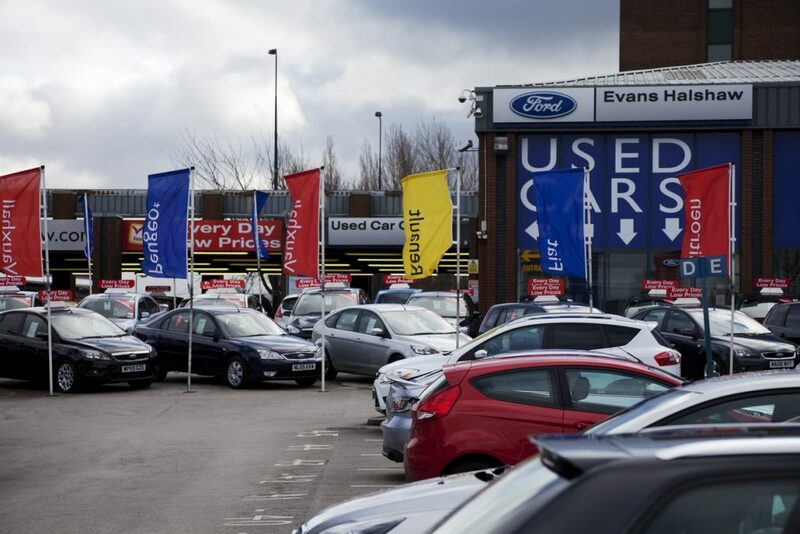 With more used diesel cars on the market and dwindling popularity, second-hand values would plummet. What’s happening to diesel values at the moment? Could authorities completely ban diesels? In Paris, they’ve already transformed a road by the side of the River Seine from a two-lane motorway into a pedestrian zone. And London’s mayor Sadiq Khan is known to be sympathetic to the notion of increasing the city’s Ultra Low Emission Zone as a way of reducing pollution. What would a diesel car ban mean for used car buyers? It depends how far-ranging any diesel car ban was. If it was total, it would present a huge problem. Currently new car sales between petrol and diesel are pretty much evenly split. In 2016 it was 47.7 per cent diesel with 49 per cent petrol. The remaining 3.3 per cent were alternative fuel vehicles such as hybrids and electrics. That relative popularity of diesel hasn’t happened over night: it’s estimated 38 per cent of the cars on the road are diesel. This makes a total ban unfeasible at the moment. Should you buy a diesel then? It really does depend on the kind of mileage you do. If you use your car for commuting into a city centre, it might be safest to plump for petrol. If you rarely or never go near a city centre in your car, diesel currently still makes the most sense for high mileage drivers. However, if the current demonization of diesel continues as time goes by, petrol-electric hybrid and petrol engines are going to become increasingly attractive.